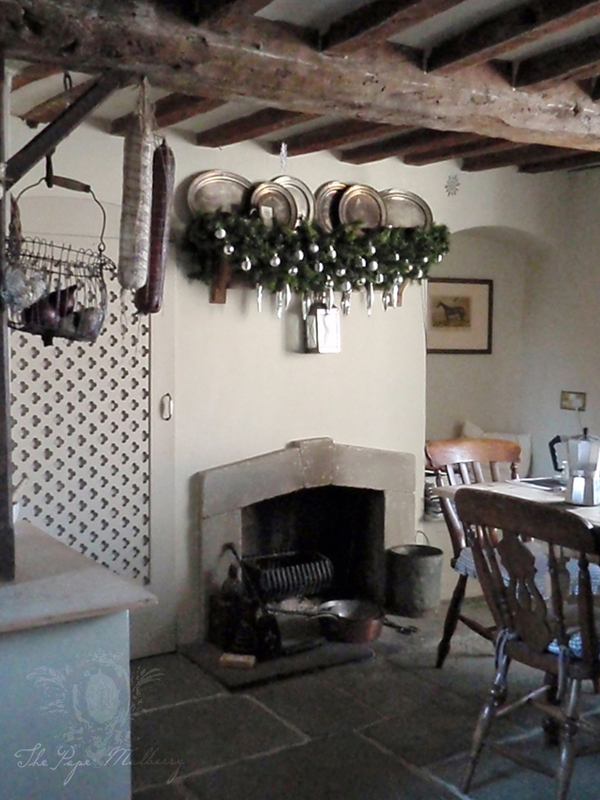 This was our home until November 2012, it is an Elizabethan farmhouse dating from the early 1500's and retains many of it's original features, some of which we uncovered during it's restoration. 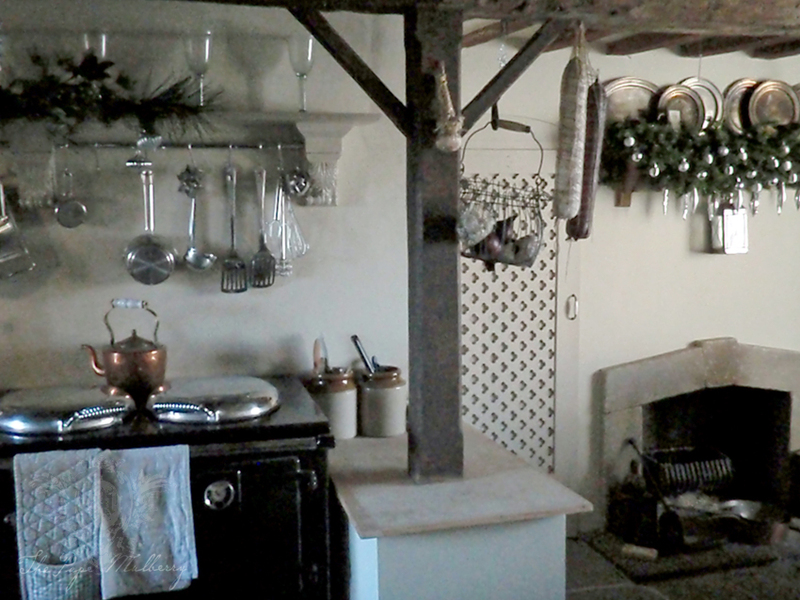 The full and varied history of the house can be found on the main "Our Old Home" page. 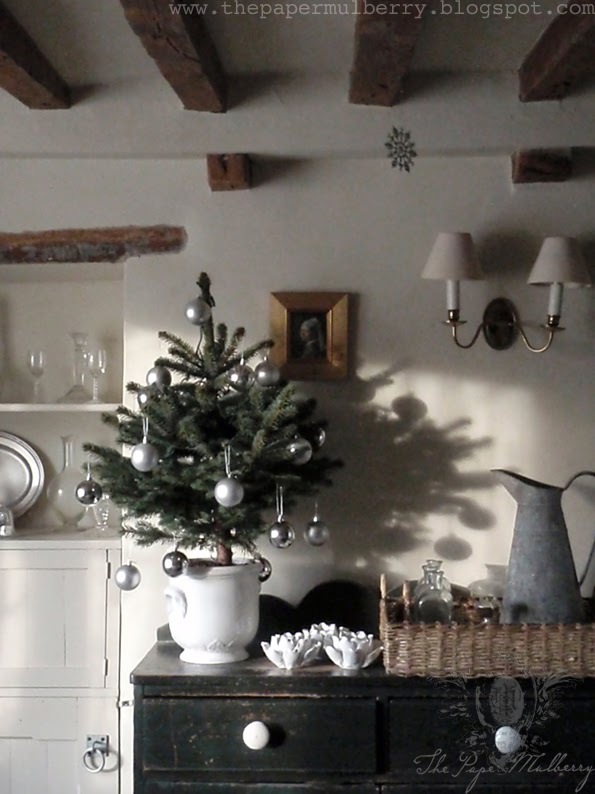 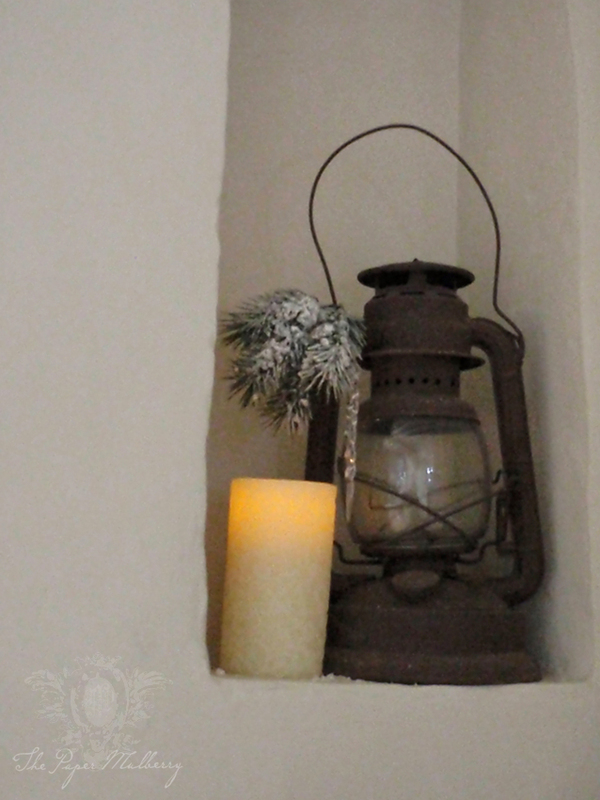 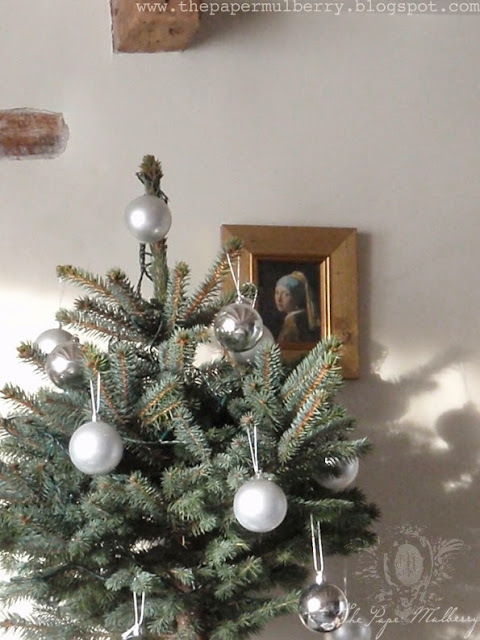 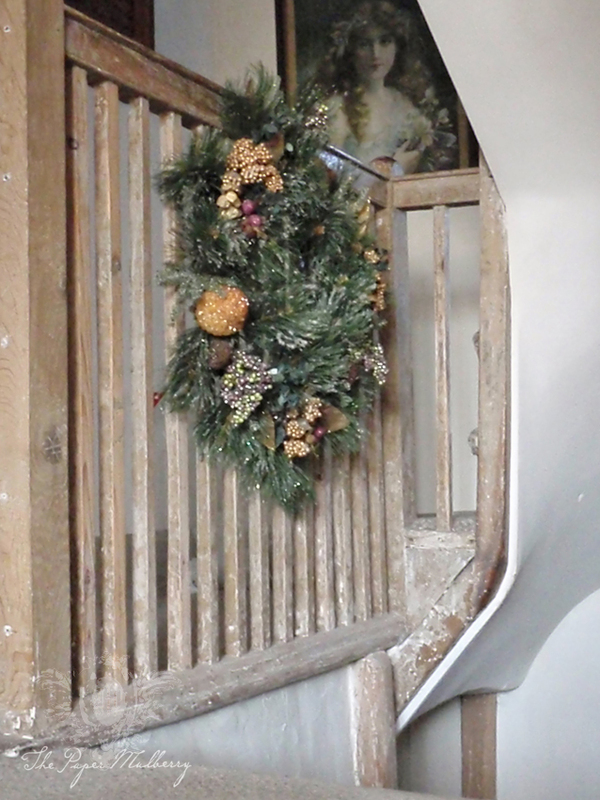 Christmas was a particularly special time in this old house as the beams and fireplaces were perfect for festive decorating. 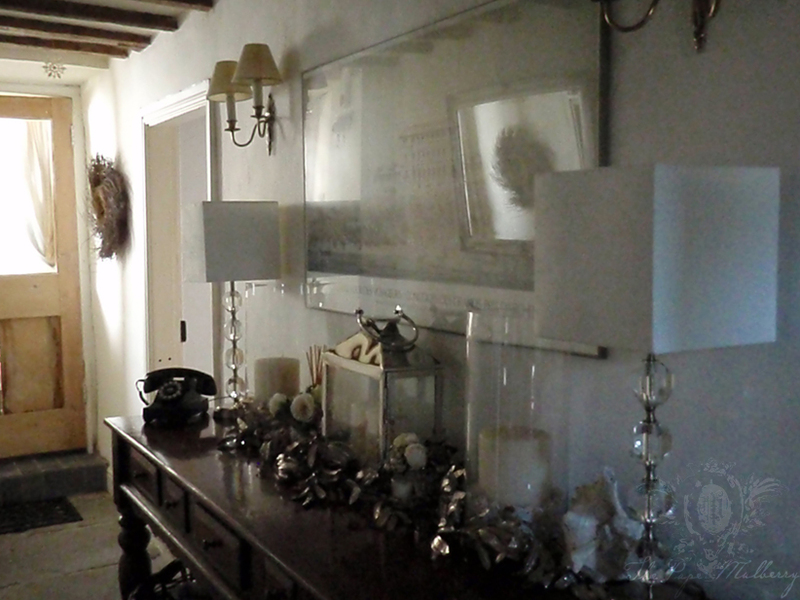 In fact it was rather like living on the set of a Harry Potter film! 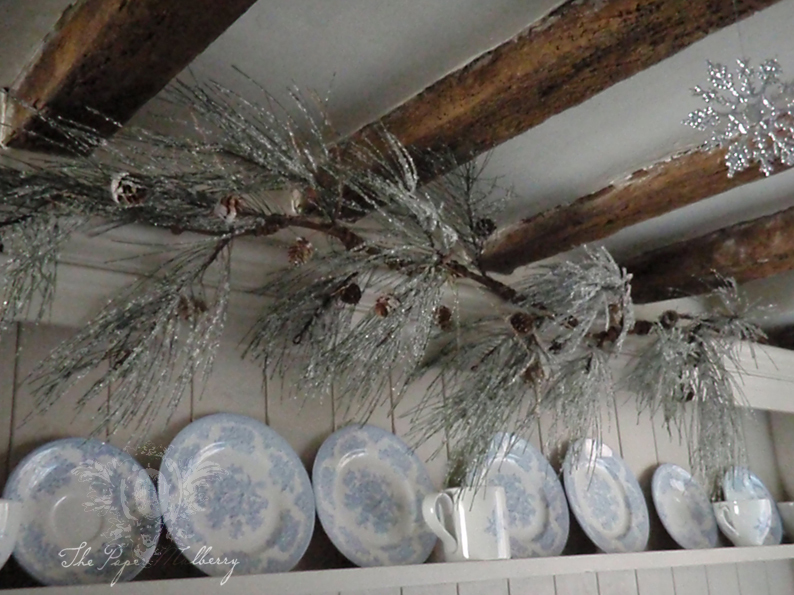 I hope these photo's may be of interest for those looking for vintage inspiration and I will continue adding photographs as I find them so do pop back! 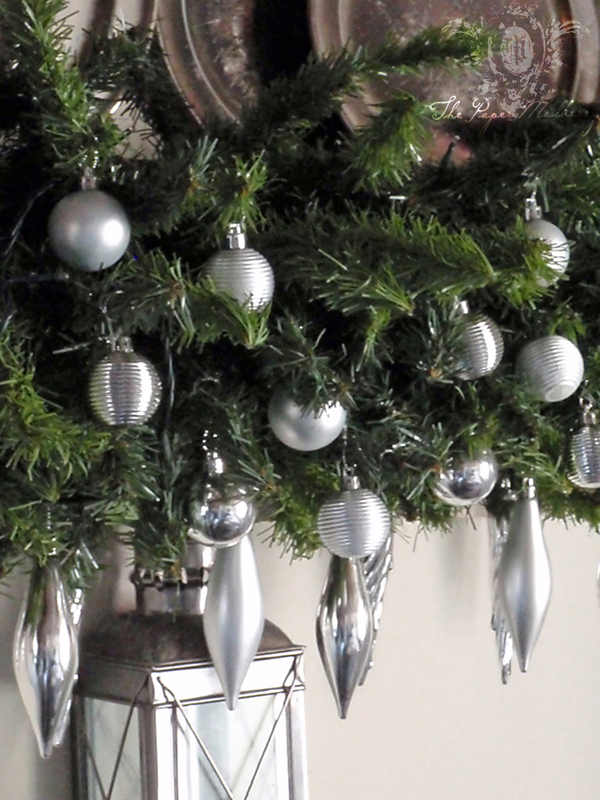 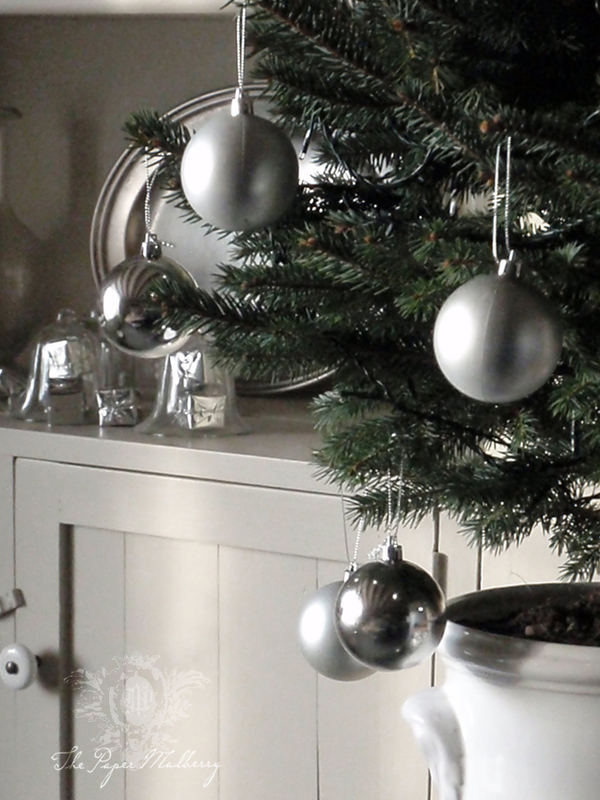 A faux pine needle swag with mat and shiny baubles part of the 75 piece set from Tesco! 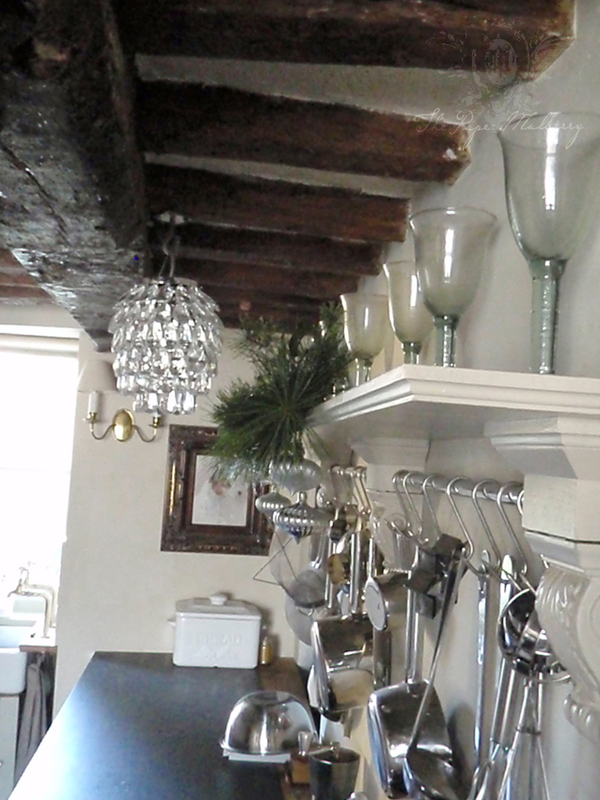 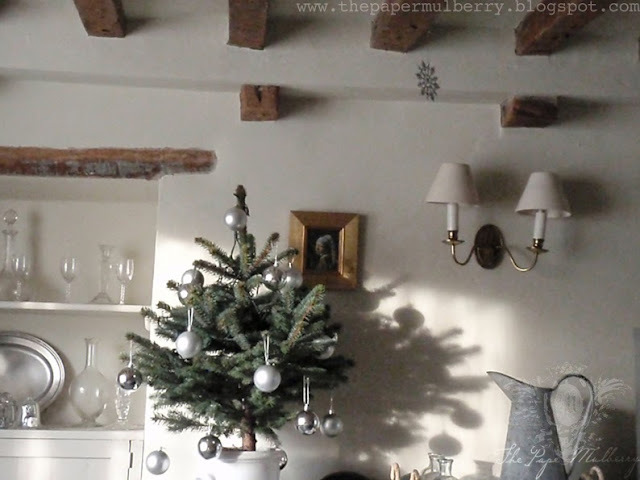 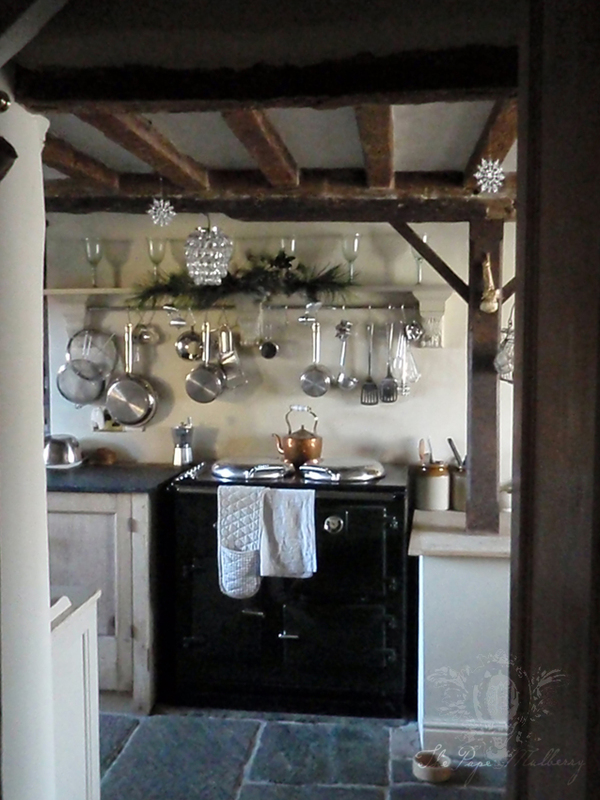 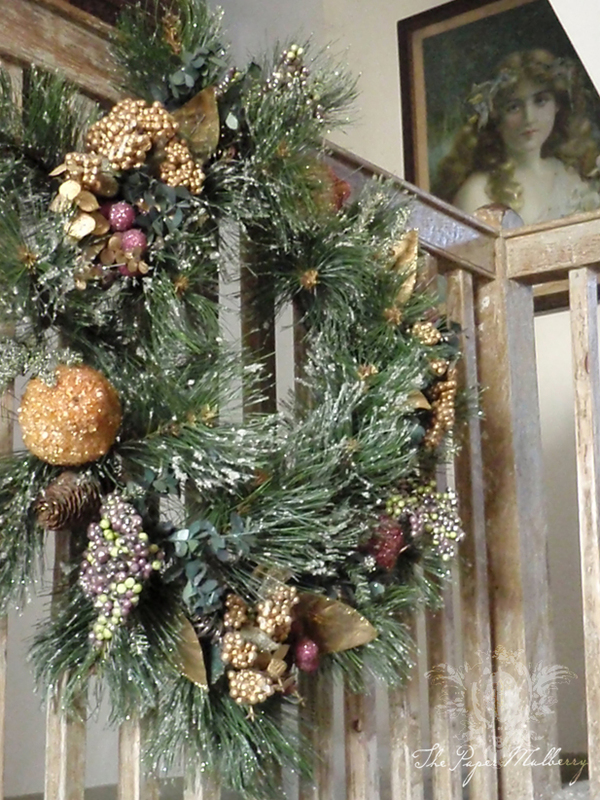 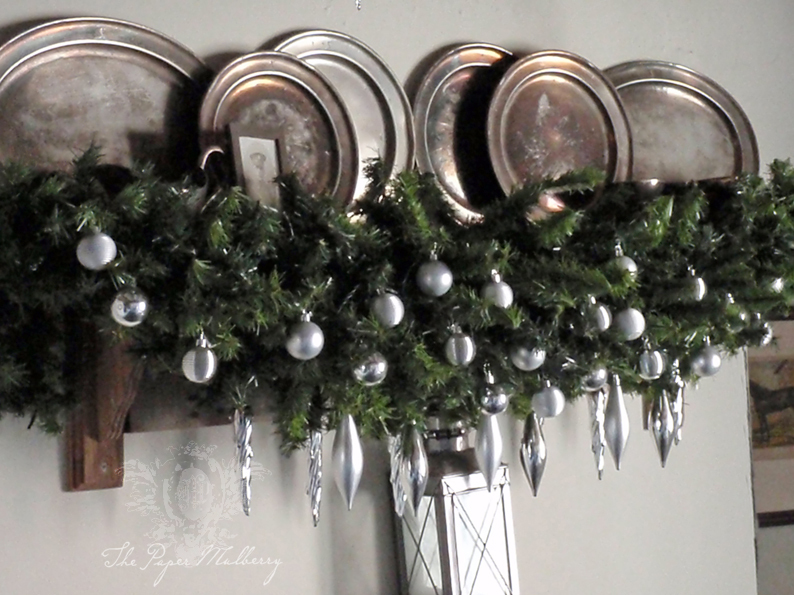 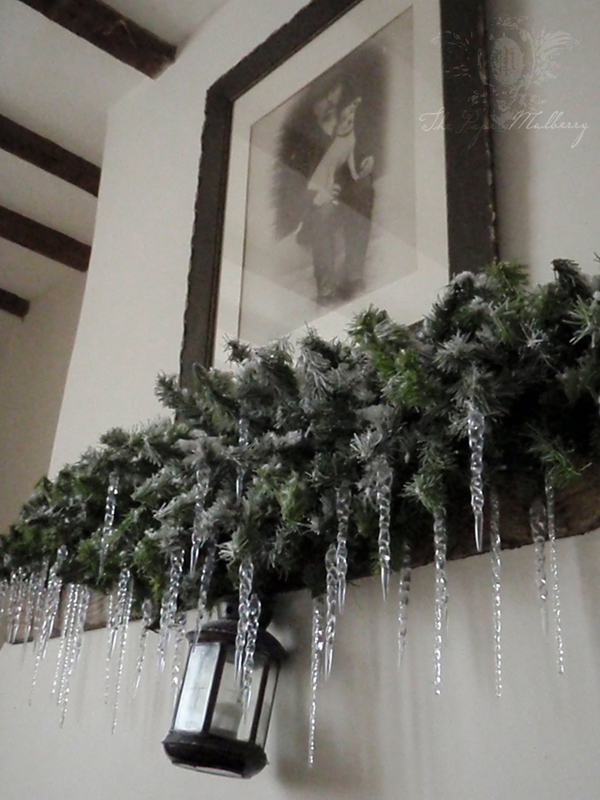 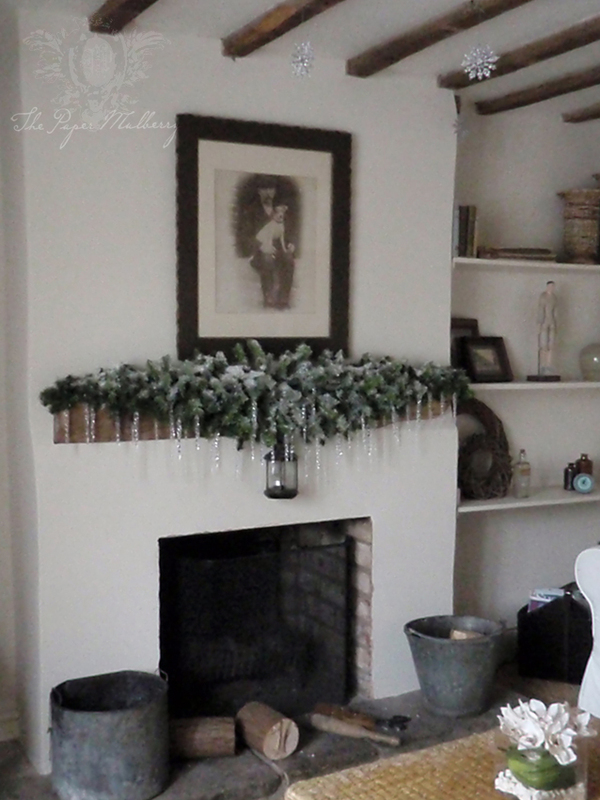 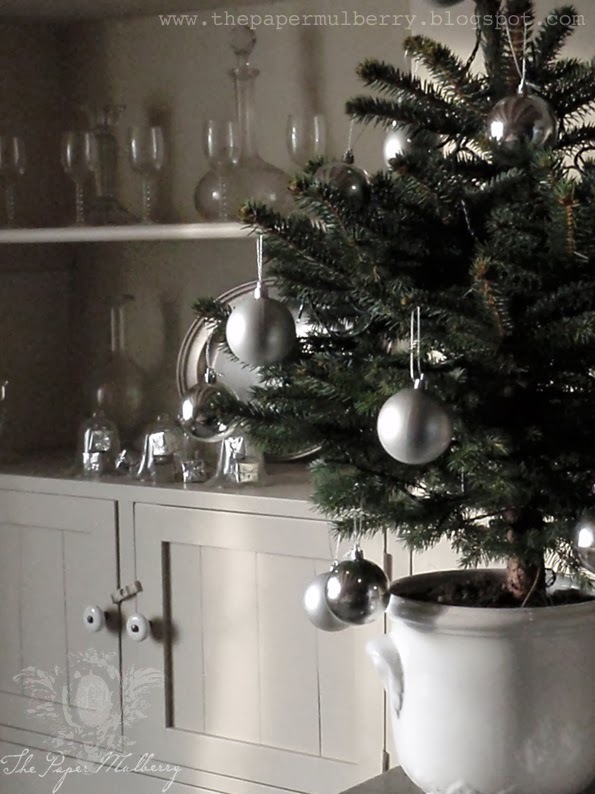 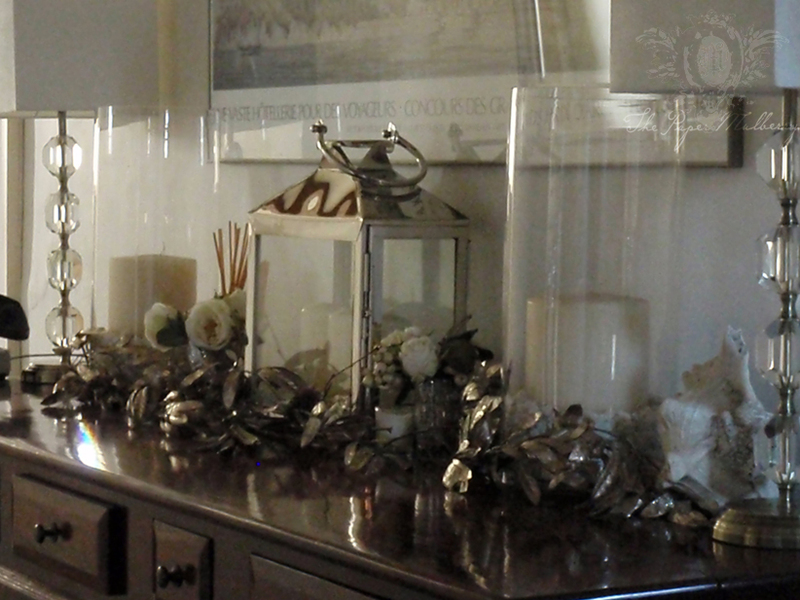 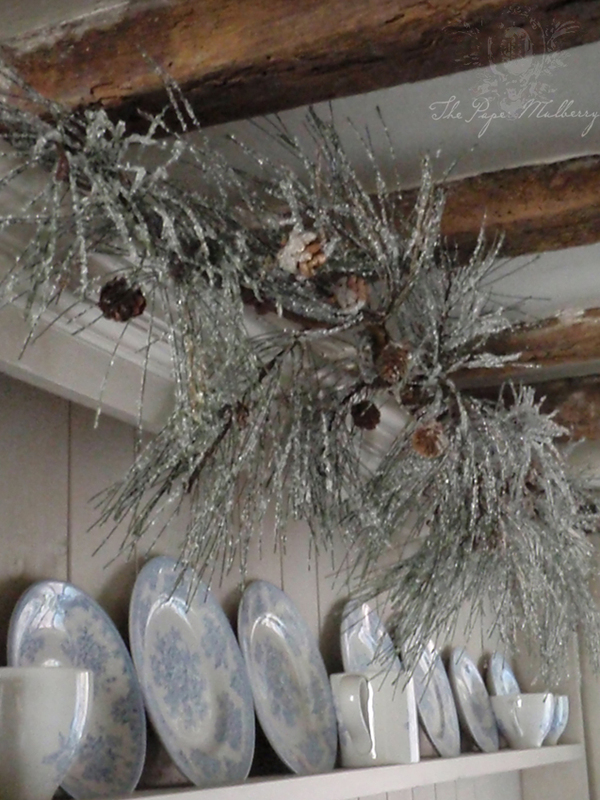 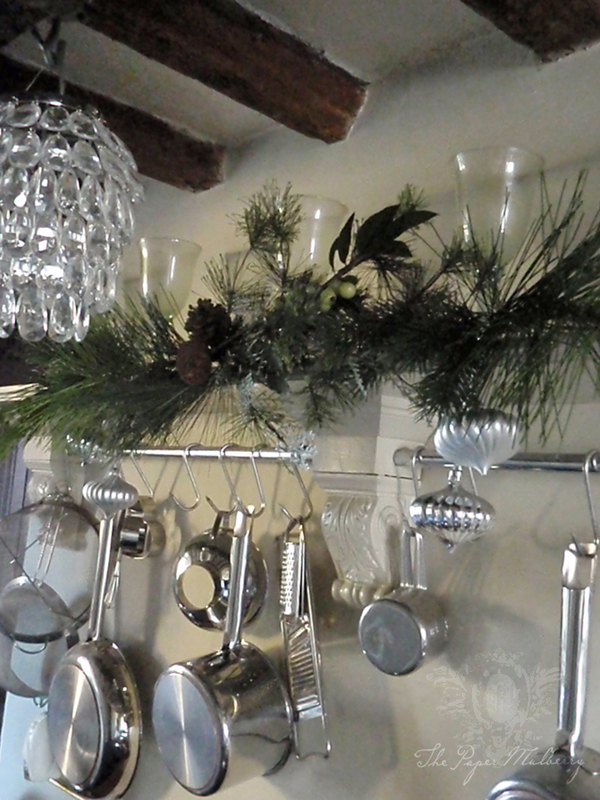 Image: The Paper Mulberry - the kitchen - Aga mantel shelf decorated for Christmas! 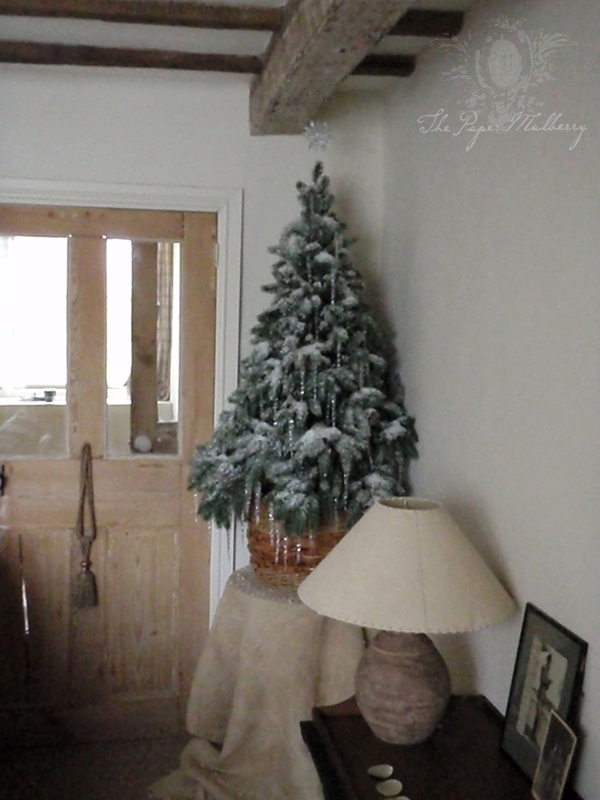 Image: The Paper Mulberry - the sitting room with the faux tree stands in a log basket, the tablecloth is burlap and the tree covered in faux snow and glass icicles! 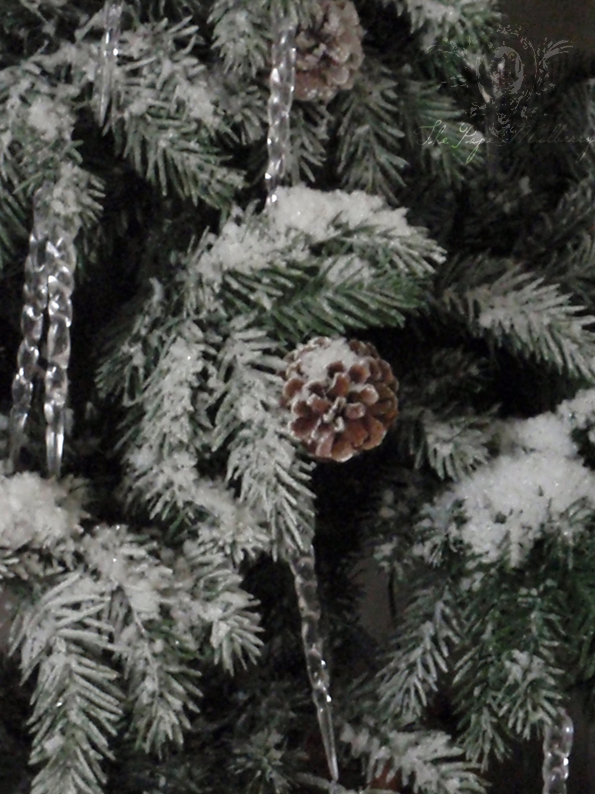 the artificial snow is from Snowbusiness the special effects company who provided the snow scenes for the Harry Potter films! 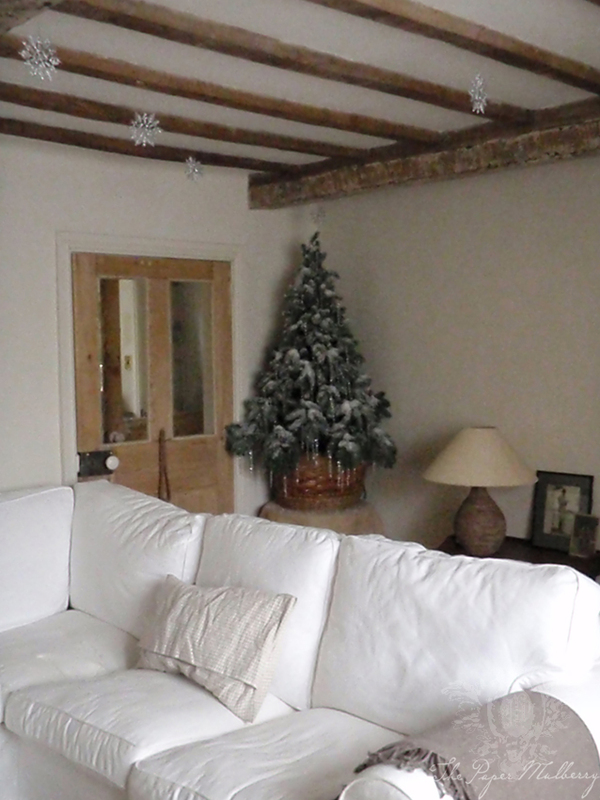 They now sell a range of artificial snow for domestic use, I used their spray snow topped with display snow coarse and finished with the amazing snow sparkle that glistens like the real thing!